Designed to provide safety where guardrails are not provided. 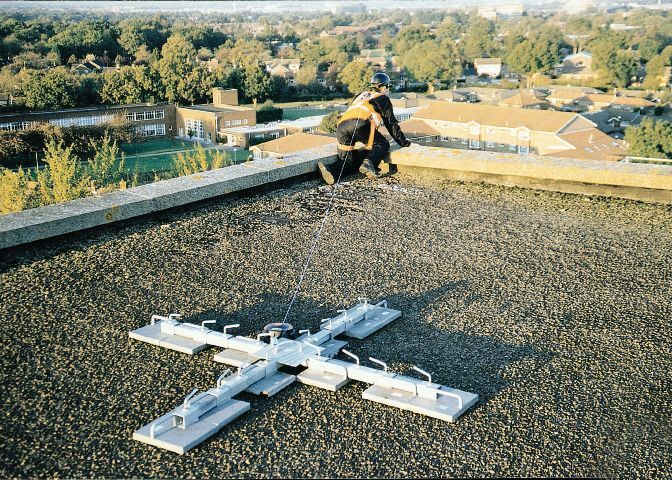 Easy to set up one man system is ideal for short term maintenance operations on flat or industrial steel clad pitch roofs up to 15deg. For use with retractable fall arrest systems and harness. Multi purpose weights can be used with the keeguard roof.